The minor mistake occurred when the concept of punctuated equilibrium came up and I was pointing out that PE dealt with the relative lack of intermediate fossils at the level of species, as between, say, horses and zebras, not as creationists so often characterize it, between a lack of intermediate fossil between higher taxa, as say between “fish” and tetrapods. The problem is not with my clarification of PE but rather the fact that during the discussion I stated that I had, in preparing for the discussion, just read a paper by Niles Eldredge—coauthor, along with Stephen Jay Gould, of PE—stating this rather explicitly. However upon re-reading the articles I had read beforehand I realized that it was not something I had read by Eldredge—though I had read a couple of his papers in the process—but rather a paper by evolutionary biologist Douglas Futuyma that had made this statement. This fact about PE is known to pretty much anyone familiar with the literature—though there has been confusion in the past on the part of some as to whether or not PE involved some sort of saltation, it does not—however it is not always stated as explicitly as Futuyma does above. One need only read Eldredge’s first paper on what would become PE (Eldredge 1971) to know what Futuyma states above. In that paper Eldredge described differences in the eyes, and temporal relationships, of various species of the single trilobite genus Phacops (Eldredgeops rana) to make the case that the fine details of the fossil record should be viewed through the lens of allopatric speciation (that new species will arise on the geographic periphery of established species). Creationist fantasies notwithstanding, PE, has nothing to do with explaining gaps in the fossil record between higher taxa. For more on PE see: Punctuated Equilibria by Wesley R. Elsberry. All of this is to say that although I could make an airtight case that my characterization of PE was correct by going through the literature in detail, I have to admit that I inadvertently conflated the above statement by Futuyma with other things I had read by Eldredge in preparation for the discussion.So at the point in the discussion where I said I “just read Eldredge making this point”, I was mistaken. My second and I believe more serious foul up—because it was not only misleading (unintentionally) but also could have been avoided if I had listened to some of the other things I said during the very same panel discussion. At one point in the discussion Dr. Giem asks about the possibility of a fossil intermediate between a dog and a bear, and I helpfully interject that there is a fossil group known as the “bear dogs”. And this is true, there is a fossil group known as “bear dogs”, the Amphicyonids, which are an extinct group of carnivores that was around for over forty million years until they left the stage a little under two million years ago. In fact not only were there “bear dogs” (Amphicyonids) but there were also “dog bears” (Hemicyoninae)! The problem is that neither of these groups of carnivores with their mixture of dog and bear like features are intermediates between dogs and bears. Nor are they ancestral to either modern dogs or bears, though they are related to them and some of the more dog-like genera—Daphoenus & Cynodictis for example—were previously classified as being canids, (O’Harra, 1920)(Matthew, 1930). In addition, there is some question about the relationships of some very basal forms of Amphicyonids (Tomiya & Tseng, 2016). However, in my defense, I was uncertain of their phylogenetic relationship to dogs and bears at the time I mentioned them and as noted at the beginning of this post, I am not an expert! This is a good example of why written debates are far superior to live ones. I would have been unlikely to make such a mistake in a written debate where I would have had time to research my responses. Anyway, after the discussion I looked up both groups and realized the depth of my mistake in even bringing them up. The so called “dog bears” (Hemicyoninae) evolved later and are classified as a subfamily under the bear Family Ursidae. I wasn’t thinking about them at the time so we will leave them out and move on to the Amphicyonids (“bear dogs”). Amphicyon ingens, a large robust genus of “bear dog” after which the Family Amphicyonidae is named. and bears. Therefore my bringing them up was, unintentionally, misleading as our opponents in the discussion were clearly looking for ancestors of both bears and dogs that would be of mixture dog and bear characteristics. This screw up is particularly irksome since I had gone out of my earlier in the discussion to point out, using perissodactyls (horses, rhinos, tapirs and some extinct types) as an example of how the farther back in the fossil record one look the closer different branches of closely related groups approach each other morphologically. That is the farther back in time one goes the harder it is to tell your horses from your rhinos, from your tapirs etc. A) Hyrachyus, a “rhino/tapir”, B) Eohippus (see also Hyracotherium, a “horse”, C) Heptodon, a “tapir”, D) Helaletes, a “tapir”, E) Mesohippus, a “horse”, F) Hyracodon, a “rhino”. A) Equus, a horse, B) Tapirus, a tapir, C) Ceratotherium, a white rhino. If we make similar comparisons to the ancestors of living carnivores, like dogs and bears, we should, as with perissodactyls, not look for fossils with a mixture of characteristics from living, more derived types. Rather we should expect more generalized carnivores with only a few anatomical details that point to their being in the part of the carnivore family tree that will later lead to either dog or bears. So for example here we have a Miacid (an extinct group thought to be ancestral to modern carnivores), Vulpavus, a basal dog Hesperocyon, and a basal bear, Amphicynodon (not to be confused with Amphicyon mentioned earlier). 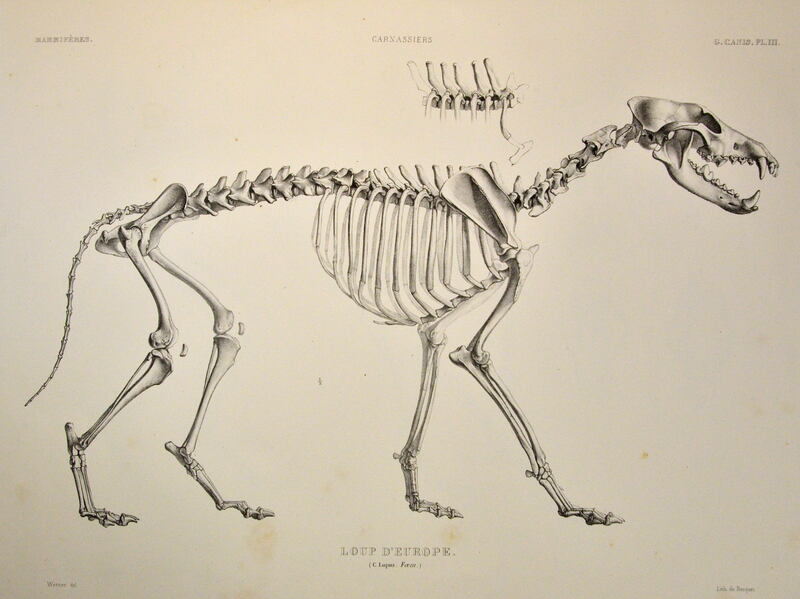 So there you go, I really should not have brought up the “dog bears” (Amphicyonids) but rather, if I had been familiar with them at the time, I should have talked about fossils like Hesperocyon and Amphicynodon, and noted that just like with the ancestors of horse/tapirs/rhinos, they were similar generalized types rather that some sort of chimeric mixture of existing species (I made a similar point in a post titled A Tale of Two Dinosaurs). 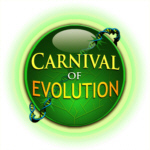 This entry was posted in Antievolution, Comparative anatomy, Creationism, Defending evolution, Evolution, Paleontology, Personal, Skeptical inquiry, Systematics and tagged Amphicynodon, Amphicyonidae, bear dogs, bears, caniformia, creation/evolution debate, Creationism, CvE debate, dogs, Douglas Futuyma, Hesperocyon, macroevolution, microevolution, Niles Eldredge, perissodacyls, punctuated equilibrium, young earth creationism. Bookmark the permalink. 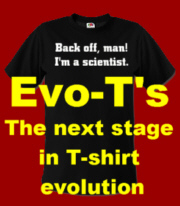 Yeah it wasFutuyma’s “Can Modern Evolutionary Theory Explain Macroevolution?” (2015). I thought it generally went well, as these things go. I wish you had been more successful in getting the discussion to focus on pattern rather than process. That way you could have brought in other types of evidence in support of common descent such as pseudogenes or other types of genetic evidence. I thought that too much time was taken up with mechanism or lack thereof especially when “information” was never defined. On that topic, I was surprised that you did not bring up the so-called “nylon bug”, the bacteria species that is able to digest nylon waste due to a frameshift, a rather serious input of new information. Yes, you might have caught where I tried to shift to pattern but they resisted. Though I would probably focused more on the fossil record than genetics. I know more about it and since these guys were both YEC, it is a weak spot for them (Flood geology, ha! 😁).